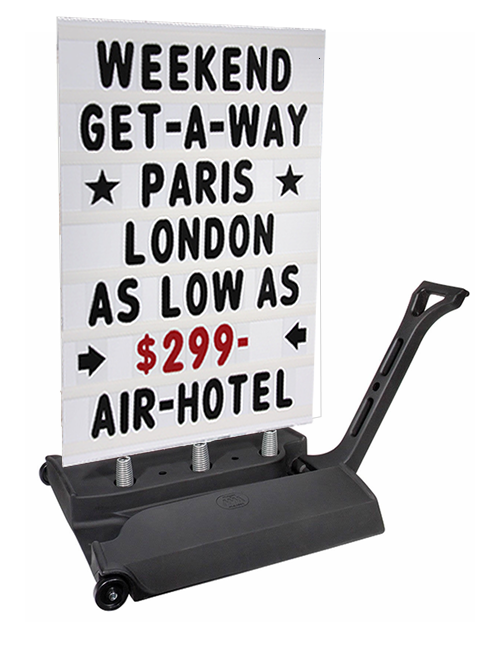 The Rolling Springer XL Standard Sidewalk Sign is the ultimate outdoor sign offering a winning combination of style, economy, versatility and visual impact. 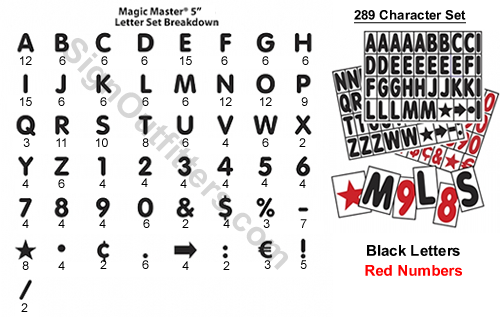 Magic Master XL Rolling Springer Signs offer the same benefits of regular Springer Signs PLUS the advantage of 50% larger size for greater visibility. Perfect for larger locations or locations farther from the street. Rolling Springer Sidewalk Signs have a compact, low-profile technopolymer base that can be water filled for added stability. Built-in hand holds make lifting a snap and the 18" wide base fits easily through any door. Rolling Springer Message Board Sidewalk Sign, large corrugated message board with track that is 2 sided, 7 line of copy, 24'' x 36'' white sign face. Sign face springs in the wind. Good for rolling in and out of the shop.